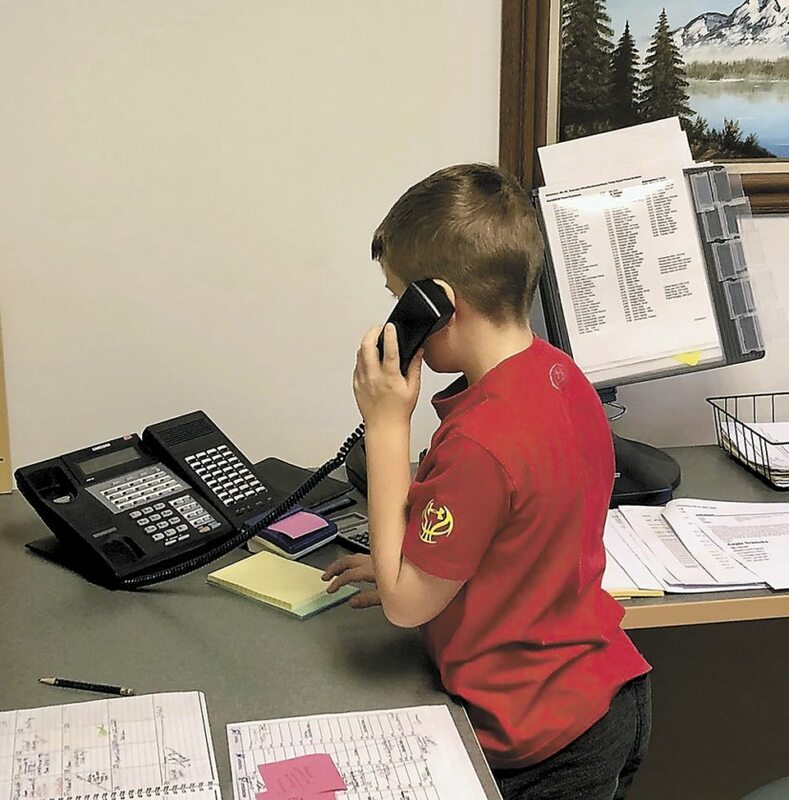 Jonah Carlson, 10, a fourth-grader at St. Edmond Catholic School, takes a phone call from the principal’s office at the school recently. Carlson won a prize from a fundraiser to serve as principal for a day. Included in his items of business were: no homework for the weekend, sitting with a friend at lunch, and fourth-graders reading to second-graders.